providing a one stop shop workplace Alternative Dispute Resolution service with 1-1 advice. The employee or employer will provide information (through separate portals) in response to key questions. The information will enable a lawyer to advise the user more efficiently about their rights and obligations OR enable some users to resolve matters themselves with minimal or no lawyer input. Accessible information will be provided about employment law with FAQs, factsheets and a glossary of legal terms to help the user answer questions and understand their legal position. Online and offline help will be available for inputting information where users need this. The website will include legal, practical and strategic information about how best to negotiate in a variety of situations, based on YESS’s experience over three years. Affordable independent legal advice will be available for each party to help with negotiation and achieving resolution. Mediation will be available, usually for an affordable fee. The website will be regularly updated following feedback and legal changes. The project is to assist in developing an online guided pathway covering the law in relation to reasonable adjustments in the workplace for disabled people. The pathway will explain relevant laws and lead to the production of initial advice and signposting, and will in addition function as an efficient triage system for those cases that merit further advice from one of the lawyers working for DLS. 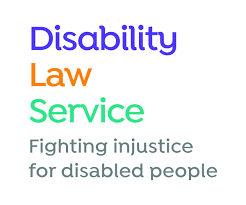 The aim is to assess the feasibility of a system covering a limited area of law to ensure deliverability, but which will lend itself to further development such that other areas of disability discrimination and employment law can be added. The aim is for the pathway to be developed such that it will be fully accessible in line with the Web Content Accessibility Guidelines. Potential to license the pathway to other disability charities and assessment of potential revenue this may yield such as to make the pathway sustainable. This project is intended to deliver an up-to-date, comprehensive website which will provide the information and support often lacking for bereaved families and witnesses attending a Coroners Court inquest. It will provide information on the inquest process – and the families and/or witnesses role in that process – identify the support available through CCSS in a particular court, refer users to the Helpline and signpost to other organisations for longer-term support. 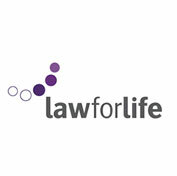 It will be a key awareness raising tool, enabling the charity to increase public understanding of the process and procedures of an inquest as well as highlighting the help available to those attending an inquest, as a bereaved family member, a lay or professional witness (including the emergency services and health care workers). The website will also provide an interactive secure space for CCSS volunteers to share experiences, offer advice and support one-another through difficult cases. It will be an accessible space for the charity to communicate with its geographically diverse team of volunteers. Finally, the website will be a key resource in generating interest and financial support for CCSS, enabling it to achieve its long-term plan of providing a national service, offering a presence in all 92 Coroners’ Courts. Reviews from a wide range of practitioners, expert users, academics and policy makers. Relate also worked intensively on determining a sustainable social business model to allow the service to scale. Unfortunately, despite the successful pilot, Relate have not managed to secure the delivery and investment partnerships required for the public launch of the ODFR service. They now aim to disseminate the lessons learnt from the pilot, focused on key findings on service users, practitioner involvement, and service sustainability; and to identify remaining innovation gaps in each of these areas. To identify any future collaborators and investors with whom to progress the OFDR programme. This project builds on the recommendations from recent reports Delivering Justice in an Age of Austerity and What is a Court?, which informed the senior judiciary and Government’s thinking on system reform. This project aims to ensure that the changes to the court and tribunals systems through digitisation respond to the needs of court users, and that ordinary people are provided with the tools to be able to take advantage of an improved, online justice system. The project will involve on-going work with senior judges, law makers and Government officials on the adoption of modified dispute resolution processes by the judiciary and on reconfiguration of the court and tribunal estate centred on flexibility and IT enabled access to court buildings. It will also involve the establishment of a Working Party of JUSTICE members focussed on how ‘Assisted Digital’ might be enhanced to ensure that everyone, including the most technologically marginalised, can access justice online. This project is to establishment an interactive guided pathway website for employees and employers, providing a one-stop-shop workplace ADR (Alternative Dispute Resolution) Service (called Route to Resolution – R2R). The employee /employer will provide information (through separate portals) in response to key questions. Accessible information will be provided about employment law and definitions to help the user answer questions and understand their position. Help will be available (if necessary) for inputting information. The details provided will enable a lawyer to advise the user more efficiently about their rights and obligations. The website will include legal, practical and strategic information about how best to negotiate in a variety of situations, based on YESS’s experience. This should enable some users to negotiate themselves with minimal or no input from a lawyer. The project will develop ‘just in time’ information for pregnant women on maternity rights at work, to be delivered through pregnancy-related apps and email notification services. Written and video materials suitable for inclusion in the Baby Buddy app and written materials suitable for inclusion in Public Health England’s Start4Life email notification service will be produced. Partnerships with other apps and email services will also be explored. Pregnancy discrimination is widespread and increasing. Government research found that 11% of pregnant women lose their jobs because of discrimination. Only 3% of these women pursue a grievance and fewer than 1% take their claim to the employment tribunal. Lack of knowledge about rights is a factor in women choosing not to take action. The resources will be informed by Maternity Action's 2016 report, "Use of apps to deliver maternity rights information: scoping report", which includes a literature review and data from focus groups and stakeholder interviews. The resources will be piloted prior to release. The resources will be fully evaluated and learning will inform future projects to build legal capability. Maternity Action is well-positioned to undertake video work as they are currently completing three videos on pregnancy discrimination, focusing on sickness and health and safety. The project is to develop a 'freemium' model offering expanded free legal content alongside fee paying content on the Advicenow website. This project is a blended pilot and capacity building phase to test revenue generation ideas by installing and analysing revenue via an ecommerce platform. 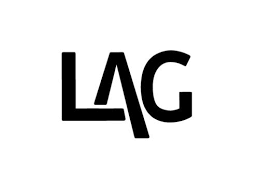 A project to provide a Secretariat and support service for the All Party Parliamentary Group (APPG) on Public Legal Education (PLE) and the group on Pro Bono, operate a shared resource with the APPG on Pro Bono, and work in tandem with the Civil Justice Council’s Task Group on PLE. This project is to upgrade the organisation’s family mediation case-management systems, increasing capacity and efficiency, empowering clients with the online management of paperwork outside office hours or pre-arranged meetings; streamlining processes for admin staff and mediators.